We are now offering "walk in" appointments for urgent issues such as Urinary Tract Infections, Vaginal Infections, Breast Lumps, etc. You'll promptly be seen by one of our providers that you already trust. 305.665.1133 • SOUTHMIAMIOBGYN.COM • Walk-in Hours: Mon-Thu 8:30-11am & 1-4:30pm | Fri 8:30am - 1pm. "The office is very nice and all the staff is friendly, professional and caring." "Overall highly recommended, all personnel looked happy." "It's an all around wonderful practice." "Would highly recommend this practice to anyone." 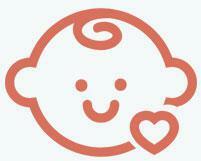 "I had my first appointment today and it was great! Overall, a fantastic experience." "Dr. Hirsch was extremely personable, kind, sweet, attentive and concerned." "Dr. Hirsch is very personable and takes time to get to know his patients." "Dr. Hirsch delivered my twins on August 17, 2000. He is the best doctor I have ever had." "Dr. Hirsch in particular was great following my pregnancy and during delivery." "I feel very comfortable with Dr. Hirsch and have been seeing him for almost 40 years." 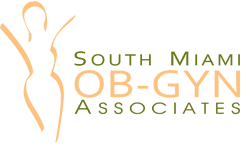 The expertly trained and skilled healthcare professionals at South Miami OB/GYN Associates in South Miami, Florida, have a mission to provide their patients the highest quality of services and care in women’s health. Their outstanding team is committed to you and your gynecological and obstetric needs. They work hard to ensure every patient receives personalized care and respect. The entire staff is devoted to providing a professional, friendly, and comfortable environment that makes each individual visiting their offices a member of the South Miami OB/GYN family. The medical group that is now South Miami OB/GYN Associates was originally founded by Dr. Nathan Hirsch in 1971. In the ensuing years, Dr. Javier Vizoso, Dr. Rafael Guinot, Dr. Sureen Chi, Dr. Rene Paez, Dr. Thomas Horst, and Dr. Damaris Miranda joined the group. The guiding philosophy has always been to have a group of physicians who are exceptionally qualified, love their profession, and are committed to the principle of taking care of each patient with warmth and compassion, while paying special attention to each woman’s individual characteristics and needs. In 2007, the medical group added Idelsis Acevedo, PA-C, and more recently, Kathleen Fitzgerald-Muñoz, ARNP, and Jennifer McNally, ARNP, as extensions of the health care team. These dedicated professionals have greatly enriched the South Miami OB/GYN Associates’ environment. They work side-by-side with the physicians, concentrating on preventive and adolescent care, urgent visits, and pregnancy antepartum testing and education. The entire team looks forward to continuously improving the quality of their service to each and every patient. The physicians at South Miami OB/GYN Associates have privileges at the South Miami Hospital. We are located on West 62nd Place in South Miami. Aesthetic services including Botox, Fillers, and Laser Hair Removal services are now available! View our Services to learn more! Click here to meet our providers and staff! Childbirth classes and resources are available to guide you through your pregnancy. Click here for more pregnancy information! Our helpful and friendly physicians and staff are here to assist you. Click here to call our office or request an appointment online today! Laser Hair Removal Treatments are now available! Click here to learn more on how our providers can help you today!